On October 7th, 1929 famous aviator Charles Lindbergh and archaeologists of the Carnegie Institution of Washington made a historical flight over Chichen Itza among others. 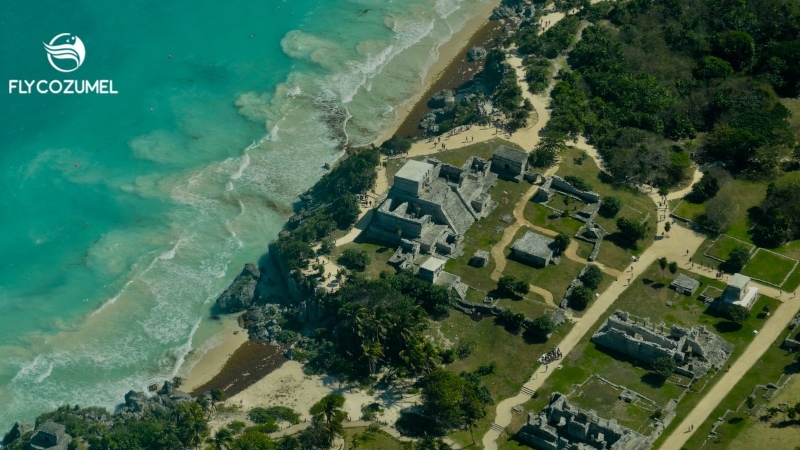 During this flight the first aerial photos of Mayan sites were taken. 89 years later you have the opportunity Recreating History. Sunday October 7th of this year you can be part of Chichen Itza like Charles Lindbergh. And more…. On October 7th, departing from Cozumel, we will fly like Charles Lindbergh. And you can join! Flying low over the Yucatan peninsula jungle in search for Mayan Ruins. Flying close to the archaeological sites of Tulum, Coba and Chichen Itza. 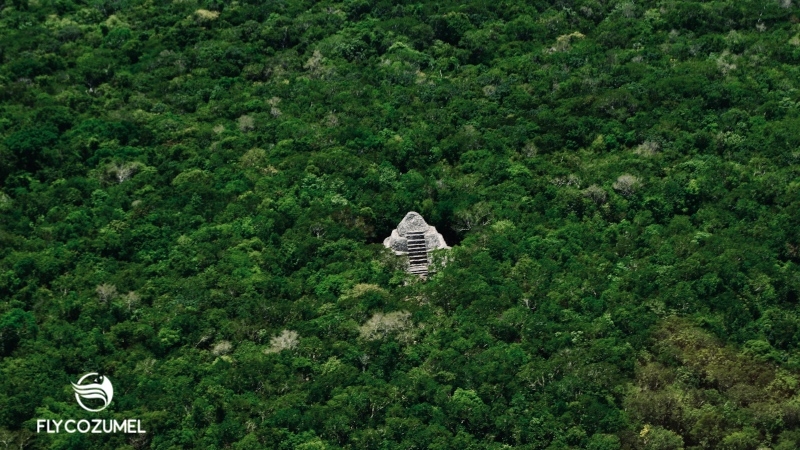 Looking through the thick vegetation for remains of Mayan civilization. At FlyCozumel we are both aviation as archaeology lovers. When we read an article from Dorothy Cochrane, curator at Smithsonian National Air and Space Museum, we got intrigued and inspired. She is a Charles Lindbergh expert and described his adventures in a way that really triggered us to redo part of this exciting flight. Imagine we could fly, explore and recreate history…. 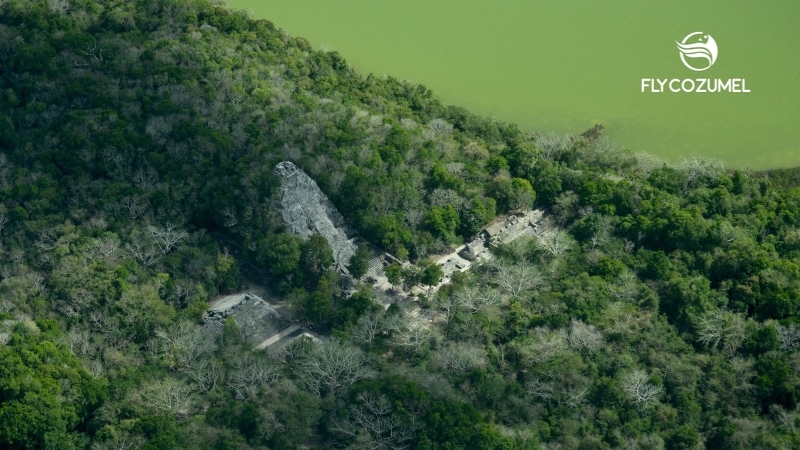 At the time of the flight in 1929 archaeologists of the Carnegie Institution of Washington were excavating several Mayan sites here in the jungle of Yucatan. When we discussed our idea of this Lindbergh anniversary flight with Archeologist Dante Garcia, he opted to add an element that will also make our flight historical. 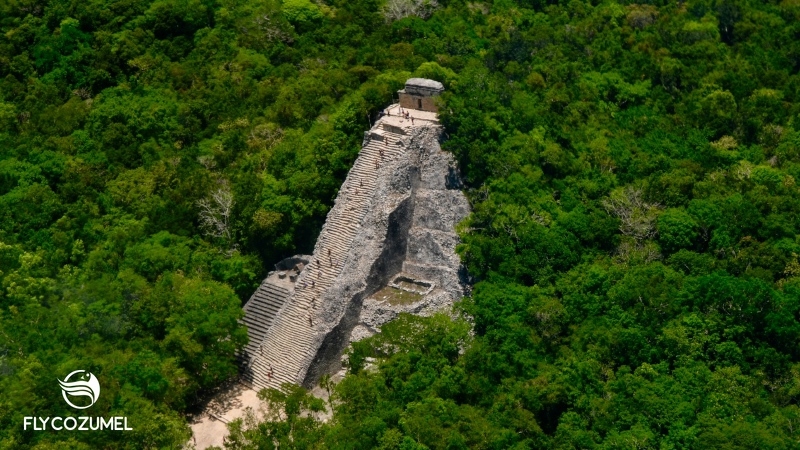 Let´s not just fly and explore… Lets add an exclusive expedition in Chichen Itza. We were all ears. 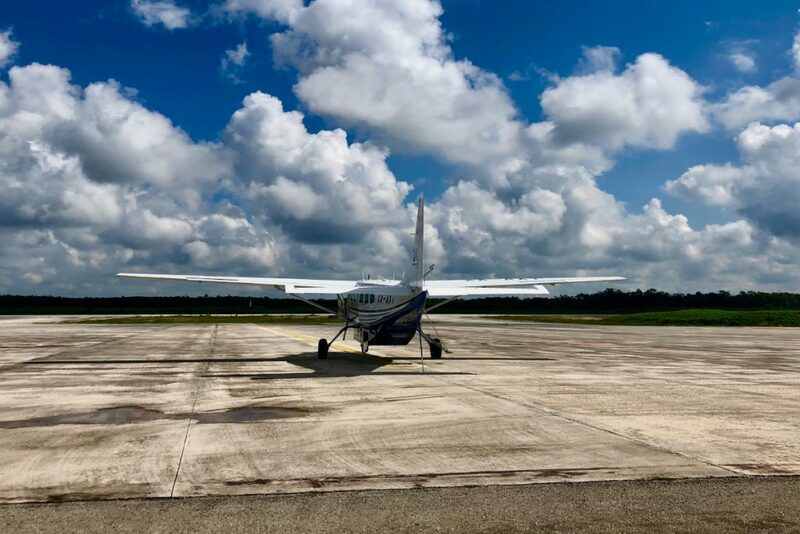 After our flight we will land in Chichen Itza and our archaeologist will take you to archaeological areas that are closed for public. 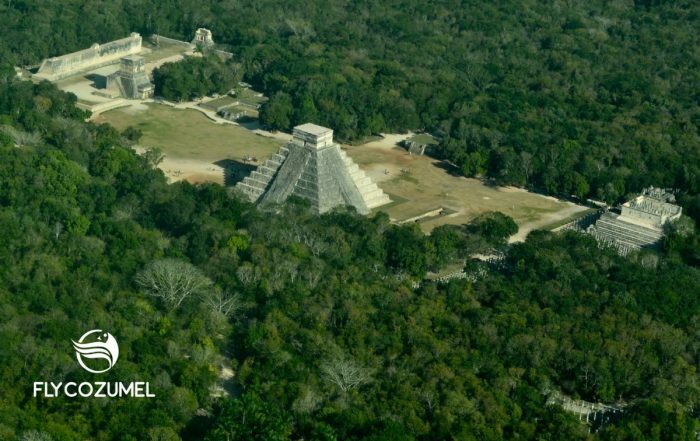 Chichen Itza like you have never seen it before and that hardly anybody else will see. 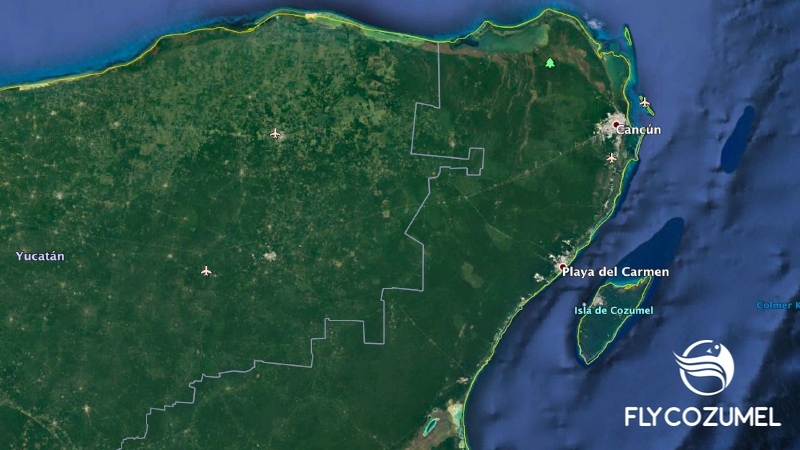 Imagine caves and Mayan structures older than the well known temple of Kukulkan. 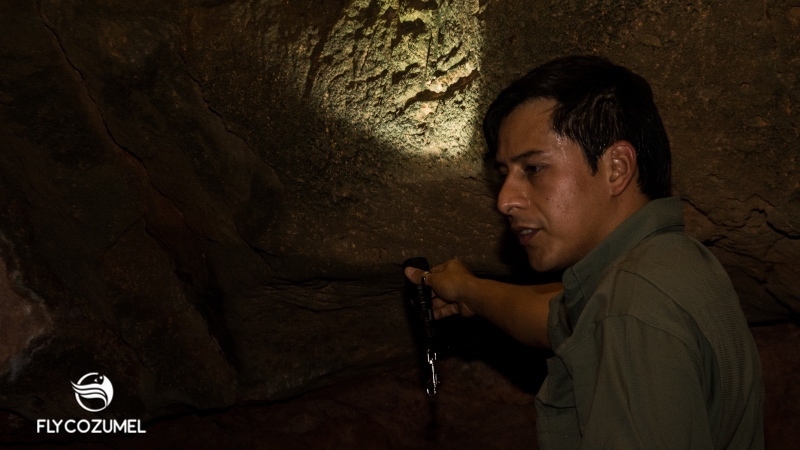 Archaeologist Dante Garcia, involved in various expeditions like National Geographic, GoPro and seen in a documentary by Morgan Freeman, will share knowledge with you that is in no comparison to any other tour. This is going to very exclusive; no tourists. And a spot in the world that hardly anybody else has seen before or will see in future. This is 100% exclusive traveling! 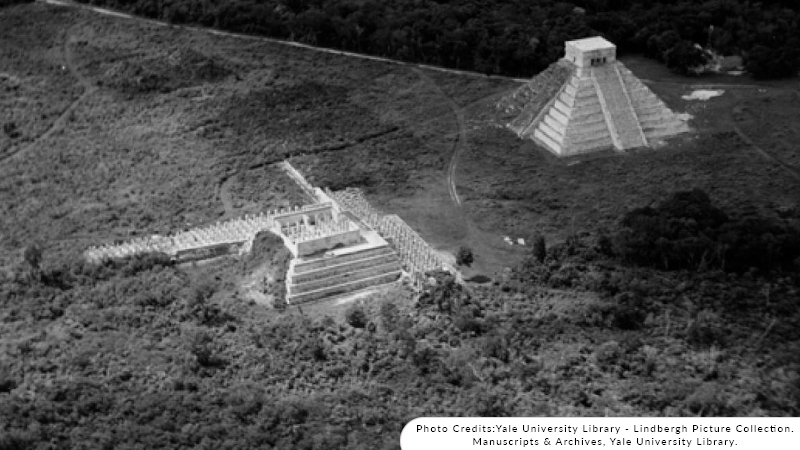 The first aerial pictures of the archeological site of Chichen Itza were taken on October 7th, 1929 and are now considered being iconic pictures. On board was archaeologist Dr Kidder and photos were taken of the site including El Castillo (Temple of Kukulkan), Temple of the Warriors, the Ball Court, and El Caracol. On the same day, 89 years later you can take yours…. And Dante Garcia, the onboard dr Kidder for 2018! Chichen Itza like Charles Lindbergh. Unique 1 time only experience. Aviator Charles Lindbergh met his wife Anne Morrow in Mexico City. She was daughter of US ambassador in Mexico City at that time. Anne´s father had financed Diego Rivera’s murals in Cuernavaca. The name Lindbergh rang a bell? Charles is well known in history for the first solo transatlantic flight and the first non-stop flight between North America and the European mainland. 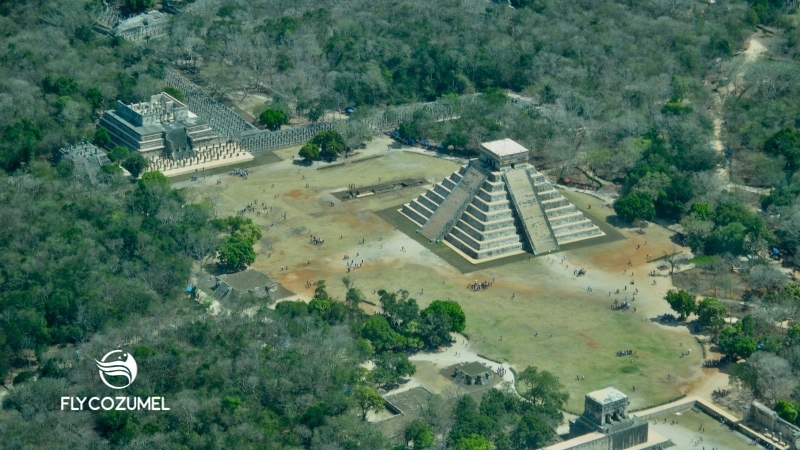 The first photos of the site of Chichen Itza were taken by the Lindberghs flying a Sikorsky S-38. Charles flew between 152 and 457 meters (500 and 1,500 feet) above the canopy of trees gave them enough height to detect elevation changes at eye level, possibly signifying something worth investigating, while the “cruising speed” of 145 kph (90 mph) allowed for close inspection into the vegetation. 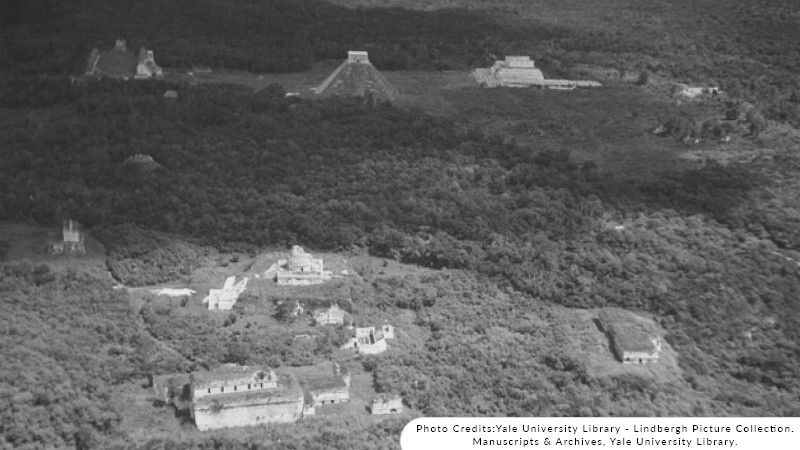 The photographs of Chichen Itza that were taken in 1929 were to inaugurate the age of aerial archaeological reconnaissance. Over Chichen Itza Lindbergh himself took what many still consider the finest photograph of the entire city. Do you want to join us Recreating History? 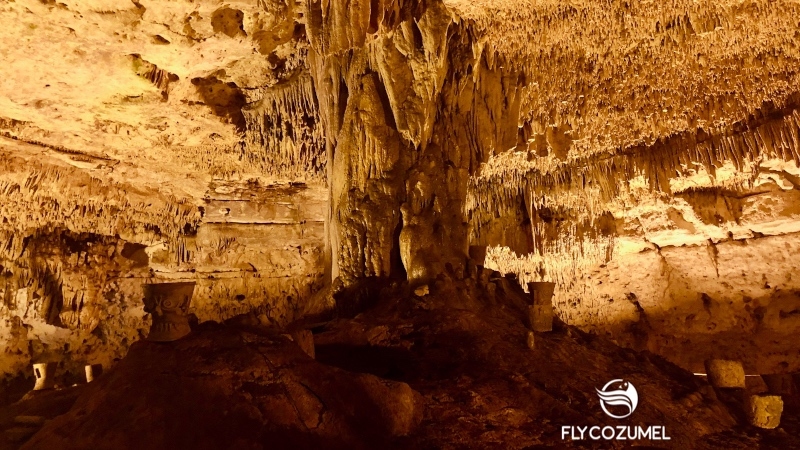 Fly Cozumel is based out of the island of Cozumel with daily flights to Chichen Itza; in possession of the certificate of Excellence 2018 issued by TripAdvisor. More information and/or or reservations through phone / Whatsapp: +52-987-564-8162 or e-mail: bookit@flycozumel.com. Let´s go Chichen Itza like Charles Lindbergh!